Just when you think you’ve got a handle on Google and its various cost per click goodies, you discover something else that you probably – definitely – should take a look at. Well, now is one of those times. As we’ve said before, rich media is a great way to grab attention. You’re never too old or too sensible to prefer huge chunks of text to be livened up with eye-catching images, and Google is well aware of this. The search engine’s Product Listing Ads are a great way to get your products noticed and revitalise your online sales in 2014. Product Listing Ads (PLAs) are cost per click ads that display an image and product information rather than the standard text link of an AdWords advertisement. 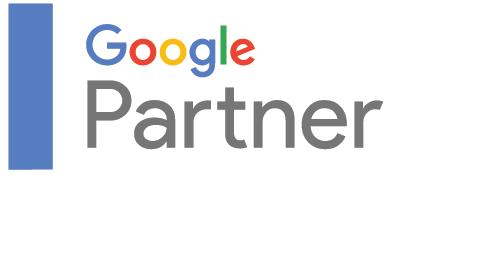 Working with users’ Google Merchant Center accounts, the ads use product information to determine how and where they’re displayed. So while traditional AdWords ads rely on keyword information, PLAs can be filtered according to things that are relevant to the product. Say you’re selling Kenwood food processors: your PLA could be organised by model, price, colour, brand or store. But, if you’re selling an external hard-drive instead, your ad could be filtered by battery life and storage capacity. In short, you’re looking at tailored information that results in a better online shopping experience for your potential customers. More traffic and leads: a 2013 report by Marin Software showed that PLAs have an average 21% higher click-through-rate than text ads. What’s more, their popularity is increasing, with a 93% year-over-year increase in click share, suggesting that these ads have won online shoppers’ trust. Better qualified leads: As we mentioned before, PLAs are situated according to product information, not keywords, resulting in more relevant search results and a better online shopping experience for your potential customers. And remember: better quality leads mean higher conversions. Easy management: Keyword research has never been the easiest task. PLAs use the product information defined in your Google Merchant Center, allowing you to skip most of the tricky keyword decisions. Wider exposure: PLAs take a bite-size chunk of your eCommerce offerings and pop it right there in the middle of Google. If more than one of your ads fits the bill, then multiple ads – whether PLAs or a combination of text ads and PLAs – can appear in one search. Still not sure about Product Listing Ads? Twentyone loves a bit of eCommerce. We’ve worked with loads of cracking eCommerce companies, helping them to boost their brand and increase their online sales. If you’d like to talk to one of our friendly team members today about giving your product line a push in 2014, call us today on 01254 660 560 or email hello@Twentyoneagency.co.uk.